Thanks to everyone that provided bug reports and helped to troubleshoot issues in the forums for other users. As the changelog will show, many of the most glaring issues have been resolved, which hopefully will reveal the next set of high priority concerns users are facing. I hope everyone tests out this release in a staging environment or sandbox before moving to a production environment. Looking forward, we’ll be re-visiting our plans for making the github repository public, making our tests available and sharing the roadmap for those who are interested in helping us accelerate it. 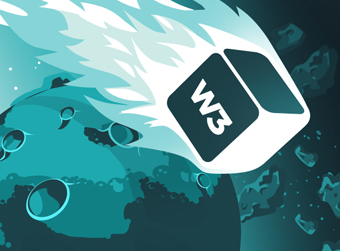 Thanks for your support and for using W3 Total Cache! As always, security is very important to us. A few folks from the community came forward and called those issues to our attention and helped us test those fixes. Specifically, SecuPress team for testing the various security fixes: Security Token ByPass, Arbitrary File Upload, Arbitrary File Download, Arbitrary PHP Eval and the XSS vector. Thanks to those that continue to be supportive in their efforts and kind words. This release has some cosmetic bugs in the latest version of WordPress, but our test suite shows that core functionality is working as intended. Having said that, I’m sure there are other bugs and bumps in the upgrade process – we’d love to learn about those, so we can push a follow-up release. Thanks in advance for reporting any issues you find. Hopefully, you find them in a staging area and not in your production site. There are a couple of highlights for this build aside from the security fixes including new functionality for Pro subscribers, new caching engines, new extensions, new integrations and increased interoperability. Please check out the changelog for specifics. Thanks for using W3 Total Cache!